This is the perfect tape to re-attach emblems. It has powerful adhesion, easily turns corners and will not migrate in hot weather. It is inconspicuous and matches OEM tape. 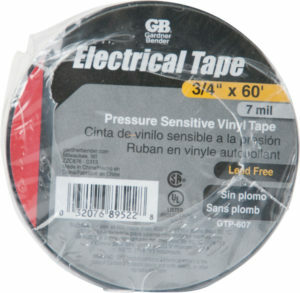 Quality Cut & Abrasives carries a really excellent electrical tape for our customers. This tape is made of a contractor grade low lead PVC material which is resistant to UV rays, abrasion, moisture and many acids.